Coach Bryn played Division I basketball at Loyola Marymount University from 1998-2002. During her four years at LMU, Bryn became the women's basketball All-Time leading scorer (1,661 points) as well as the first player in LMU history to reach 1,500 points. Other collegiate accolades include being a 4-time All-West Coast Conference selection and a 2-time Kodak All-American Nominee. Britton is the only Lion to be named First Team All-West Coast Conference three times in her career. Appearing in 119 of the team's 120 games in her four years at LMU, she led the Lions in scoring in each of her four seasons, setting records in each year for most points by a member of her class. Bryn continued her basketball career in the European Professional League (Luxembourg) where she was 2nd in the country in scoring. She competed in the WNBA training camp for the Detroit Shock before returning to Europe (Germany) for a second International season, finishing 12th in scoring and 4th in assists in the country. In February of 2009, Bryn was just the third female basketball player to be inducted into the LMU Hall of Fame. In 2002, Bryn graduated from LMU with a Bachelor's degree in English and a minor in Business. In 2010 Coach Bryn obtained a Master's in Counseling and a PPS Credential. Coach Lynn (or Flanny) played at Loyola Marymount University from 1987-1991. She has 20+ years of Division 1 coaching experience at Loyola Marymount University and was instrumental in the development of 40 All-Conference nominees throughout her tenure, including Players of the Year, Defensive Players of the Year and much more. She is focused on the fundamentals of the game and building a strong foundation with hard work & a positive attitude. 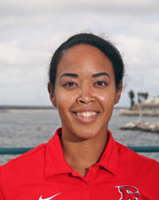 She has worked with Coach Marcelo Enriquez and the Redondo Union HS Girls Varsity Basketball Team for the past 6 seasons, including the 2018 State Championship and the 2014 CIF Championship Team. As a former Division 1 player herself, Lynn's accolades range from All WCC honoree, scoring over 1,400 points, being the 1st women's basketball player to be inducted into the LMU Hall of Fame, and setting 18 school records upon the completion of her career. As a coach, she helped lead LMU to post season appearances in the WNIT and NCAA tournament, as well as assisting in guiding LMU to a WCC Championship. Her 16 years as LMU's Recruiting Coordinator provides great insight into the skills that are vital to be successful at all levels. Lynn graduated from LMU with a Bachelor's degree in Liberal Studies (Elementary Education). Marcelo has been the head coach of the Redondo Union High School Lady Sea Hawks for the past 23 years. Under the guidance of Coach Enriquez, the Sea Hawks have won 11 Bay League Titles. They have also made 7 appearances in the CIF Finals, having won championships in 2000, 2002, 2005, 2008 & 2015 and 2018. In 2018, the Sea Hawks made school history by being the first team ever to win a state championship. Due to the commitment and hard work of Coach Enriquez' players and staff, he has won the following accolades: 2000, 2002, 2005, 2015 & 2018 CIF Coach of the Year; 1999, 2002 & 2005 Daily Breeze Coach of the Year; 2002 L.A. Times South Bay Coach of the Year; and 2000-2003 Bay League Coach of the Year. In 2008 he also received the SCIBCA division 1A Coach of the Year. Cherie Hughes has been a part of the South Bay Breakers for 6 seasons, and also serves as the Frosh/Soph Head Coach at Redondo Union HS. She graduated from Redondo Union High School and went on to attend Azusa Pacific University obtaining her B.A. in Public Relations. While at APU, she won a NAIA National Championship in 2011. After graduating she went on to play professional show basketball around the United States with the Harlem Ambassadors. Kevin Kohigashi begins his 6th season with the South Bay Breakers and his 8th year as Head Coach of the Redondo Union HS JV Team. Kevin played basketball at Gardena High School and won an LA City Invitational Championship in 2005.